Good news, Star Wars™: Destiny fans! The upcoming release of the Convergence Booster Packs means that the game's ongoing Galactic Qualifiers will soon be bigger and better than ever. 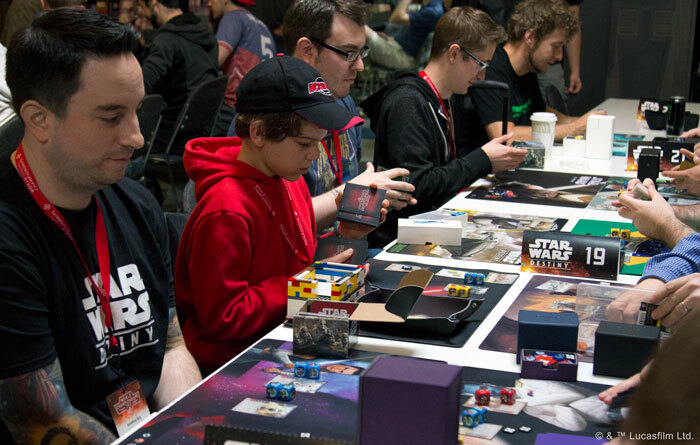 The Galactic Qualifiers are a series of large, convention-based events for Star Wars: Destiny that have proven immensely successful, drawing hundreds of players from all across the globe to compete for custom prizes and an invitation to the Star Wars: Destiny World Championship. This season's events have already kicked off with tournaments in Germany, France, the United Kingdom, the United States, and Spain, and there's plenty more to come. Now, we're pleased to share that with the introduction of the Convergence Booster Packs, these exciting events are going to be further energized by the introduction and integration of new formats and prizes! As the release of Convergence ushers forth the game's first Standard rotation, we will see the first real distinction between the game's Standard and Infinite formats. This means, we'll see real differences between all three of the game's constructed formats—Standard, Infinite, and Trilogy—and the upcoming Galactic Qualifiers will each feature more than one of these formats. As a result, these top-level events will gain even more energy as players look to explore the different options available in each format, and you will find even more ways to enjoy your dice-and-card battles over the course of a Galactic Qualifier weekend. Organizers can supplement their Standard format Galactic Qualifiers with Galactic Qualifiers run in the Trilogy or Infinite formats. You'll even see a number of Galactic Qualifiers run as Sealed events! Meanwhile, you'll find a wealth of new Convergence-themed prizes introduced to these upcoming Galactic Qualifiers by the end of March. The Galactic Qualifiers have continued to feature the Prize Stations that were so well-received throughout the last season, and you'll see their prizes refreshed, as well, along with new playmats to accompany each of the four supported formats. The release of Convergence will also see the debut of new spot-gloss cards for the Prize Station, as will the release of each new set. 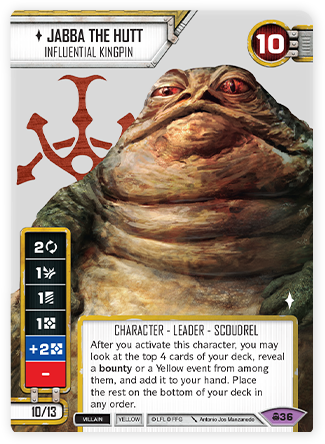 For example, you've already seen the new Jabba the Hutt (Convergence, 36) in our announcement of the Convergence Booster Packs, and if you win enough prize tickets during your participation at an upcoming Galactic Qualifier, you'll eventually be able to redeem them for a stunning spot-gloss, plastic version of this notorious gangster, complete with his ability to search the top of your deck for a bounty or Yellow event! Despite the beauty of the custom prizes you'll find at the Prize Station, the greatest prize at the Galactic Qualifiers isn't even one you can see. 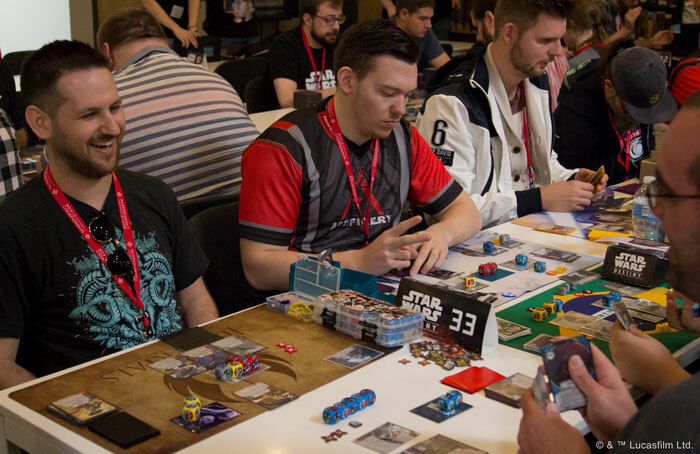 Each player who manages to go undefeated through all six Swiss rounds of a Galactic Qualifier main event, regardless of the format, wins a reserved seat at the upcoming Star Wars: Destiny World Championship in October! That means the Galactic Qualifiers are your pathway to a whole galaxy of adventure—perhaps even your first step along the Jedi path. Will you be the one to battle your way to the World Championship, conquer the galaxy's greatest players, and steer the galaxy's planets toward the light or dark side of the Force? The upcoming events are your chance to find out. This also means that each Galactic Qualifier is a fantastic opportunity for a young Padawan to be trained in the ways of the Force. You'll see the greatest decks on display, and you'll find them played with top-level precision. If you've ever been curious just how far this game can take you, there's no better place to advance your training than at a Galactic Qualifier. 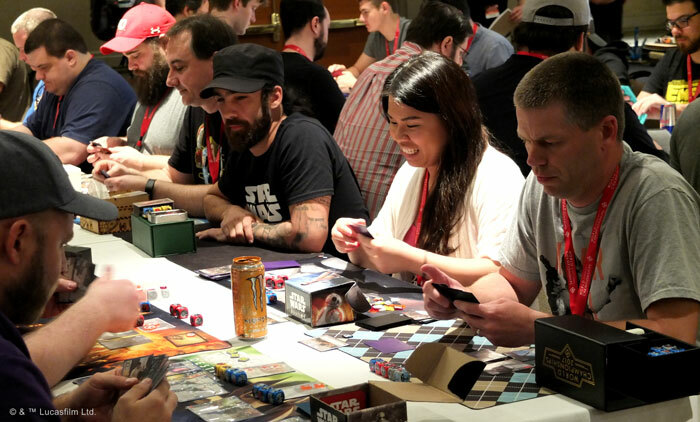 There's plenty of reason to enjoy an upcoming Galactic Qualifier even if you're not the most competitive fan of Star Wars: Destiny. Each event will feature Escape Pods in one or more of the game's various formats—Standard, Trilogy, Infinite, or Sealed. These eight-player events feature three Swiss rounds each and reward you with prize tickets based on your performance. They're great for casual players—or even just for casual decks. You can explore new strategies, try crazy new deck designs, or even get in some last-minute testing ahead of the main event (depending on the event schedule). Either way, you'll earn prize tickets that you can use toward the same Prize Station prizes as participants in the main event, and most Galactic Qualifiers will offer you plenty of time to try both the main event and the Escape Pods, meaning you'll find every Galactic Qualifier is a weekend full of Star Wars: Destiny action, regardless of your status as veteran or beginner, or your preference for casual or competitive play. Eager to celebrate the release of Convergence and the thrilling back-and-forth of your Star Wars: Destiny battles? You can find more detailed information about the upcoming Galactic Qualifiers and their prizes on the Galactic Qualifiers website. Start making your plans to attend today!